I’m making bread! I hope it’s not disgusting! This post comes to you live from my boss’ kitchen! Oh, the joys of housesitting! I am in LOVE with her house and the glorious kitchen and I already asked her if I could just rent her guest room and never leave. She said…maybe. While they are away, I have been determined to use this space to my advantage. Tonight, I take on something that terrifies and intimidates me. I have never tried to conquer this task and so you all will go on this ride with me. That’s right. I am losing my bread-making virginity. ON THE INTERNET. My mom won’t like that joke one bit. 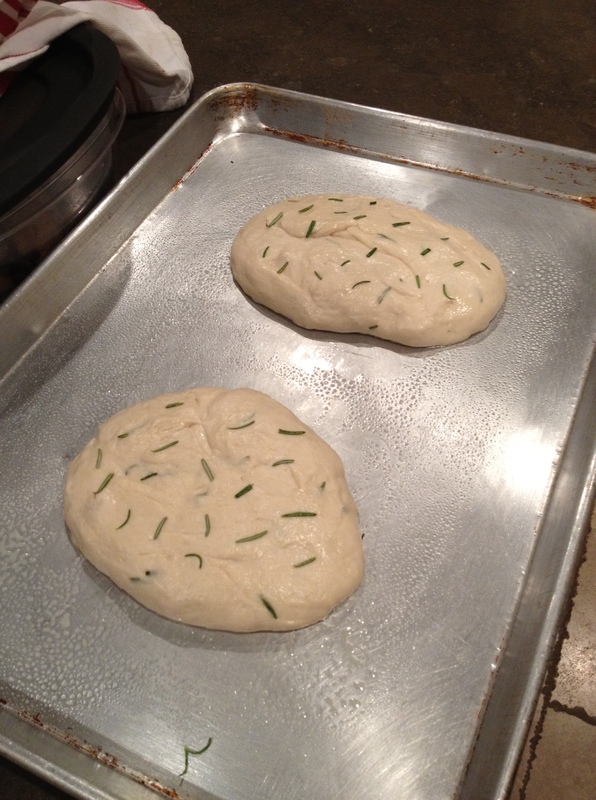 Moving on…Tonight I conquer (hopefully) ROSEMARY BREAD! 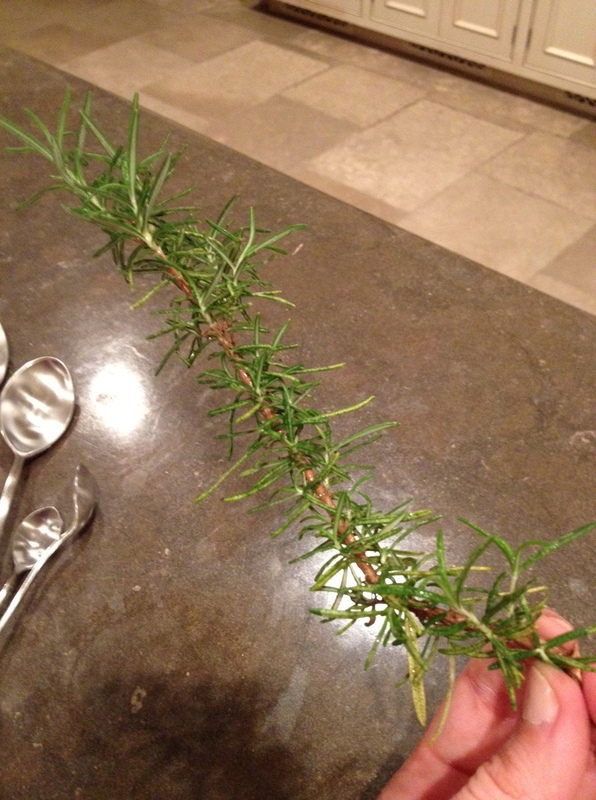 2 tablespoons rosemary- I also took advantage of the rosemary bush (tree?) growing in the backyard! My mom is a lovely baker and she gave me some hints before I baked my first loaves. 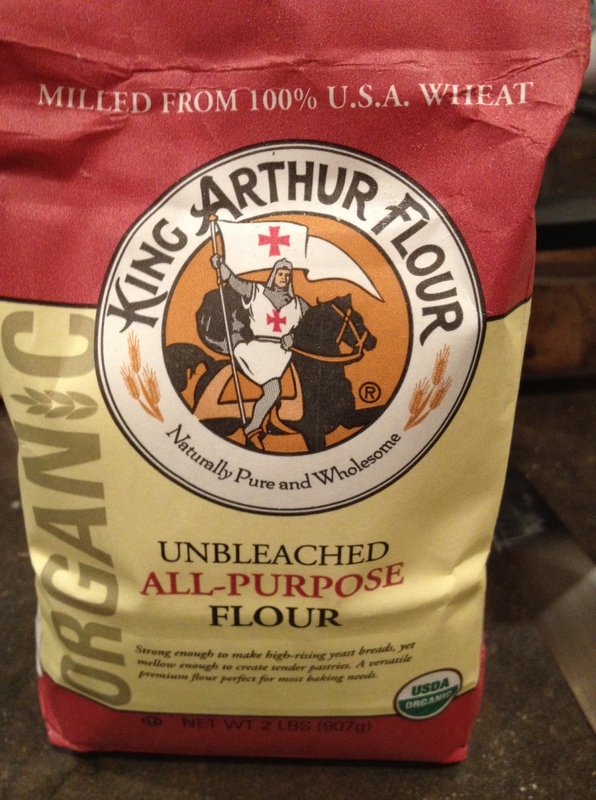 UNBLEACHED flour is key. I went organic for good measure as well. Also- room temperature, UNSALTED butter. We don’t use eggs in this recipe, but if you do- apparently room temperature eggs are best. Moms from Texas don’t lie, y’all. 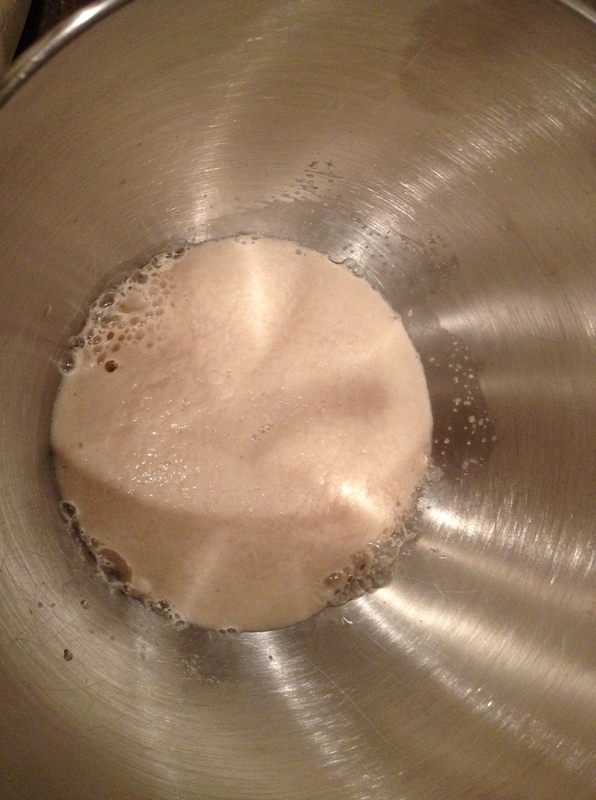 Place yeast, sugar and water in large bowl allow mixture to become bubbly. The yeast will “bloom” as they say. In other words- it will grow and expand. 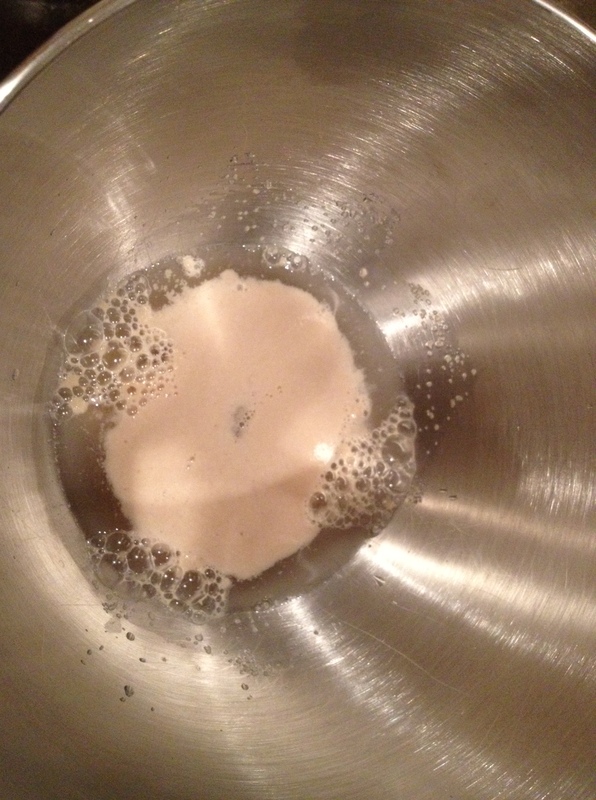 Mix (electric mixer on low) in 1 tablespoon butter (room temp), salt, and 2 cups of flour. Knead for about 10 minutes by hand or in food processor ( I love you, Kitchen-Aid mixer!) about 5-10 minutes until smooth and elastic. 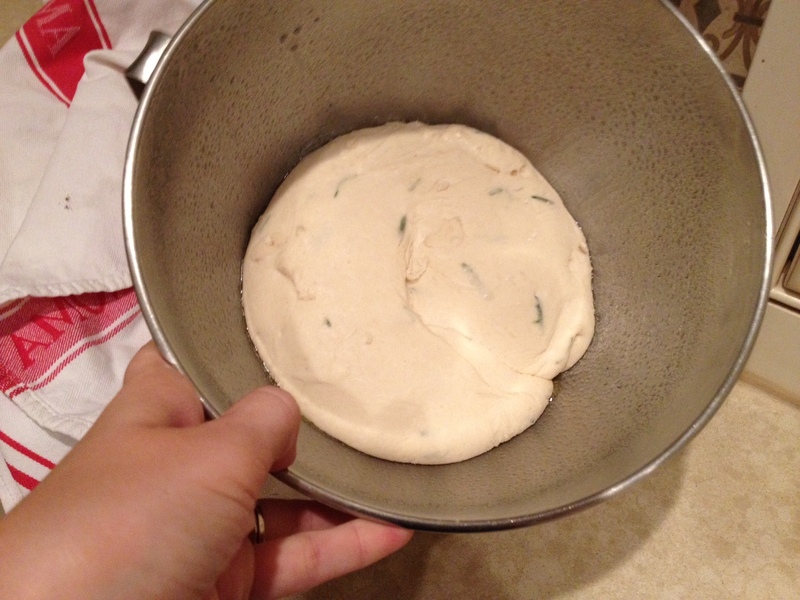 If you do use a Kitchen-Aid mixer, use a DOUGH HOOK piece once you have added your flour to the yeast mix. Add more flour if necessary as you are kneading/mixing. 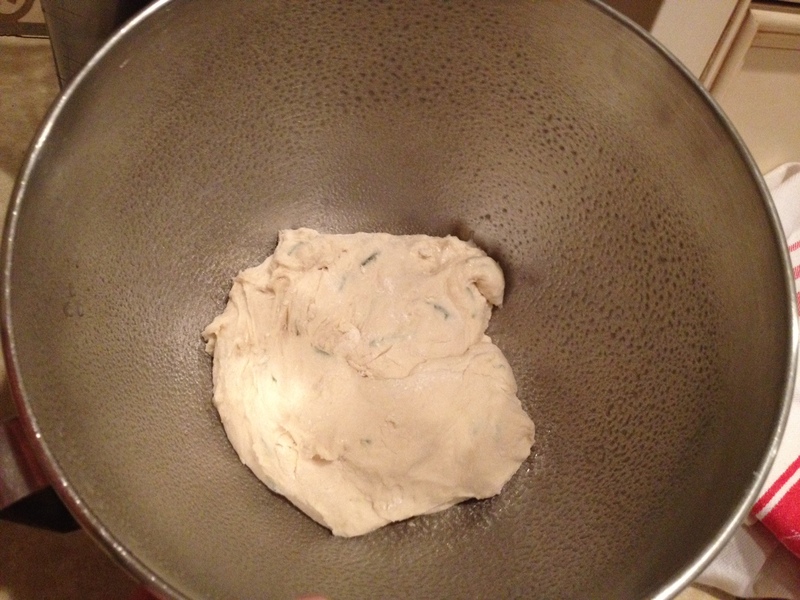 ** Note for those living in Southern California- My dough doubled in 30-40 minutes. Dry climate! 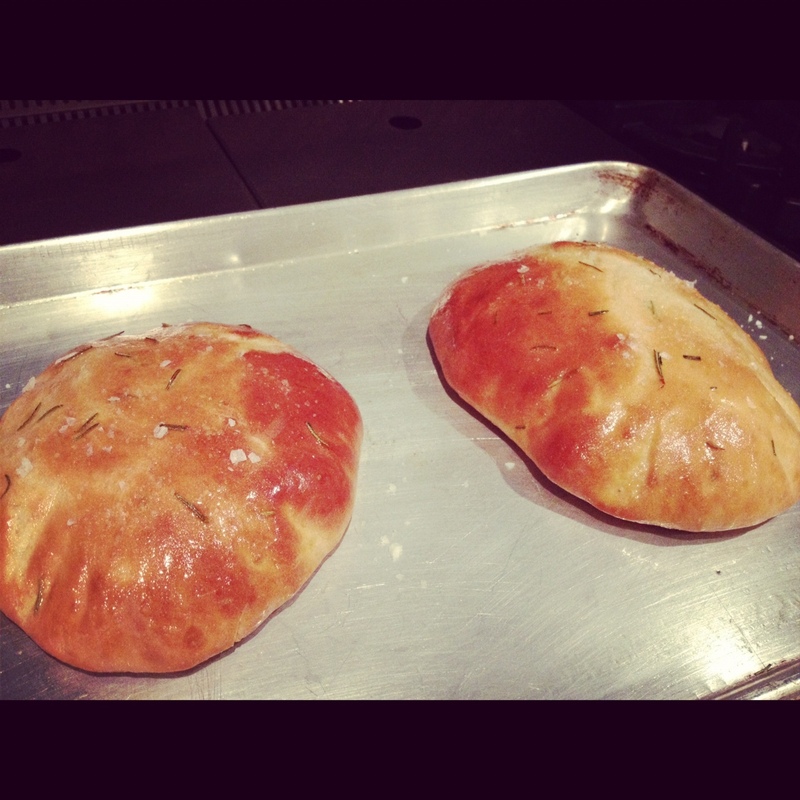 Sprinkle remaining 1 Tablespoon of rosemary over the loaves and press into the surface. Carefully remove from oven, brush with remaining butter (and salt if desired). Take 2 chicken breasts, drizzle with olive oil. Preheat oven to 400 degrees. Sprinkle salt, pepper, lemon, garlic over chicken, cover with foil and place in oven for about 20 minutes. After 20 minutes, uncover the chicken and let it cook in the oven until there is NO pink inside. You might even want to broil for 2-5 minutes at the very end for a crispy outer layer. Sauté some broccolini, maybe cook some brown rice or pasta w/ an olive oil/parmesan sauce and BOOM! DEEEELICIOUS meal with your homemade bread. You have got yourself a lovely Italian-style meal right there, folks! Please enjoy! This bread would also be delicious with some sliced turkey, ham or chicken for lunch. If you’re of the vegetarian persuasion- just add some spinach, cucumber, tomato and pesto for an amazing meal. Good luck with your bread making endeavors!! It’s not so scary after all! You like us, you really do!